Iran has been making the news consistently for the past month, and for all the wrong reasons. As conditions continue to deteriorate for Iranians by and large, the ruling mullahs lash out at anyone other than themselves to pin blame. This is really not a surprise, for Islam (whether Sunni or Shi’ite) cultivates a finger-pointing mentality to explain why things go wrong. Here’s the rationale: Since Islam is the perfect religion, and since Allah is on the side of the Muslims, and since Muslims are the best of all peoples (as the Muslim holy book, the Qur’an, tells us), then when things go wrong (and they do so often in Muslim majority countries) the blame must lie with outsiders (the infidels) or with hypocritical Muslims (who are living as infidels). Certainly the problem cannot lie within the religion of Islam itself, nor with those who are its leaders. Iran’s mullahs have perfected the blame game, and given there are so many problems in Iran at present, fingers are pointing every which way but to the ayatollahs themselves. Economic hardship has led to a recent spate of protests and riots against the government. No longer are Iranians voluntarily chanting “Death to America!”, “Death to Israel!”; now instead the crowds are shouting, “Death to Rouhani” [Iran’s president who ran on a platform of prosperity and the ending of government corruption], “Death to Khamenei!” [Iran’s Supreme Leader and pre-eminent Grand Ayatollah]. At a protest in Teheran on June 25th, a new refrain was chanted: “Our enemy is right here; America is not our enemy!” These are startling developments. Recently, a draft of next national budget was leaked to the public, and everyone had an opportunity to see just how much money was budgeted to the pet projects of influential mullahs, as well as to paramilitary and military organizations, and finally the support of “revolutionary causes” outside Iran (the Houthis in Yemen, Hamas in Gaza, Hezbollah in Lebanon, the regime in Syria), while the majority of Iran’s citizens were told the government’s resources were too limited to help them. Needless to say, the masses were irate. Riots have broken out marked by chants such as “Islamic Republic, no more, no more!”, and “No Gaza, no Lebanon, my life for Iran!”, “Leave Syria and think of us!,” and perhaps most stunningly, “Death to Palestine!” [meaning presumably, “Forget the Palestinians, pay attention to our urgent needs!”]. Seeing excessive fiscal corruption among the religious elite feeding at the public trough, protesters shout, “Capitalist mullahs, give our money back!” A recent Reuters news investigation of the Supreme Leader Ali Khamenei revealed that he rules over a personal financial empire worth some $95 billion, putting even the most greedy Western televangelist to shame with his avarice. 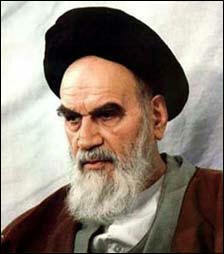 Khamenei is no doubt the largest hog, but there are plenty of other piggish mullahs at trough alongside him. Mullahs believe the blame for Iran’s problems must also lie with its citizens who are not model Muslims. Thus, the regime is cracking down hard on those who transgress the strict social and religious dictates of the Islamic Republic. Those Iranians practicing the Baha’i faith continue to be the target of divinely-decreed eradication from this world. Muslims are becoming Christians at explosive rates across Iran, and house church networks are multiplying under the noses of Muslim authorities. As a result, the government is threatening and/or arresting Muslim convert leaders whenever it discovers them. Women are regularly harassed for not wearing their hijabs properly (i.e., allowing some hair to show). One young woman who openly protested against the mandatory nature of the hijab law was convicted last week of the crime of protesting against Shari’a — two years incarceration and eighteen years probation, lest she open her mouth again. Another, a teenage girl who filmed herself dancing fully-clothed but without hijab in her own bedroom and then uploaded that video to Instagram was arrested and subsequently forced to confess on State television her “moral lapse.” Other girls have suffered the same fate. The judiciary is contemplating the prevention of any further access to Instagram from within Iran so that teens will no longer threaten the moral fabric of the Muslim nation. But of course, the received wisdom of Shi’ite leadership is that the real cause of all the problems experienced in the Muslim world is none other than the existence of Israel. At the Islamic Republic of Iran’s creation in 1979, founder Ruhollah Khomeini coded the regime’s DNA with an inextinguishable hatred for Israel and undying commitment to its destruction. He created al-Quds Day as an Islamic holiday to celebrate the future hope of Israel’s destruction and Palestine’s rule over Jerusalem (al-Quds is the Arabic term for the “Holy place”, i.e., Jerusalem). The enemy has shown us all his might, and he has nothing hidden. For 40 years, we have fought all America’s, the West’s, and their allies’ institutions of might. We experienced [the Iran-Iraq] war for eight years, even though at that time we had not much might. During the war we became strong; the people came [to the arena of war], and the Imam [Khomeini] revived in the people the spirit of jihad, and becoming a martyr was the ideal for the people. We won the war, and America, the USSR, [Iraqi President] Saddam [Hussein], England, Germany, and all their allies were defeated. You may have missed that war where all the combined military might of the USA and her European, Arab, and Asian allies was unleashed against Iran, yet the mullahs bravely fought everyone off and instead defeated the forces of Satan to emerge victorious. In fact, it did not happen in the real world, but apparently it did in Gen. Salami’s mind, and that’s all that matters. The general, like his mullah masters, lives in the fantasy realm of Islamic supremacy, ignoring important facts and twisting others to fuel his illusions. As a case in point, you may remember that on April 9th this year, Israel attacked a Syrian air base known as T-4 in order to destroy an Iranian advanced anti-aircraft system recently moved there. 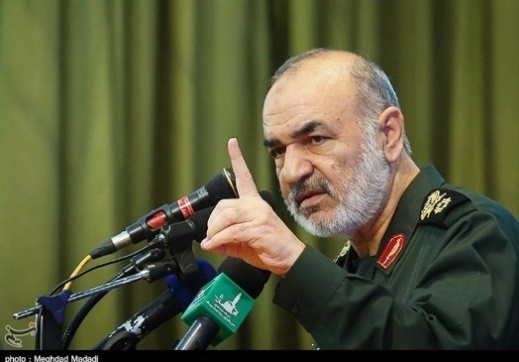 Iran vowed to retaliate, which it did in the early morning of May 10th, firing some twenty missiles toward Israeli military bases in the Golan Heights. Israel reported that four were intercepted by its Iron Dome air defense system and the rest landed short of Israel in Syrian territory. The next night, Israel responded rather massively against Iranian forces in Syria, deploying some seventy missiles. After intelligence assessments the next day, Israeli Defense Ministry Avigdor Liebermann announced tersely that Israel’s retaliation had struck “…almost all of the Iranian infrastructure in Syria“, and that he hoped all concerned parties would get the message so as to avoid further escalation. There have been no attacks from Iran on Israel since. He does acknowledge Israel’s attack in the T-4 base, and he embellishes Iran’s response, failing to admit its negligent impact on Israel. He fabricates a brazen warning supposedly transmitted to Israel, and gives his audience the impression that Israel was appropriately subdued by Iran’s demonstration of might and threat of more fire and fury against Tel Aviv, and so meekly retreated in silence. Amazing! When you live on Fantasy Island, reality becomes whatever you desire it to be. What do we learn from the al-Quds Day speech by Deputy Commander Hossein Salami? If you simply obey your mullahs and don’t question, all will go well — BALONEY. I know, sadly, that if Mr. Salami or any of the other Shi’ite leaders in question were to read this blog they would be highly offended by my claim they are full of baloney. 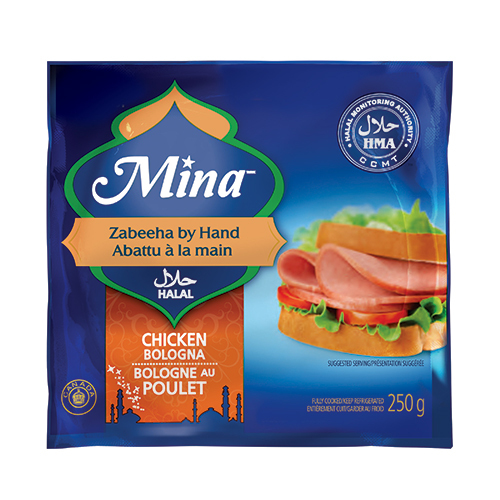 So to avoid offense, let me stipulate that I am speaking only about halal baloney — nothing with haram pork products in it. There, I hope that makes them feel better…. Thanks, JoAnn. By the way, so glad to hear that Anya is hitting her stride!